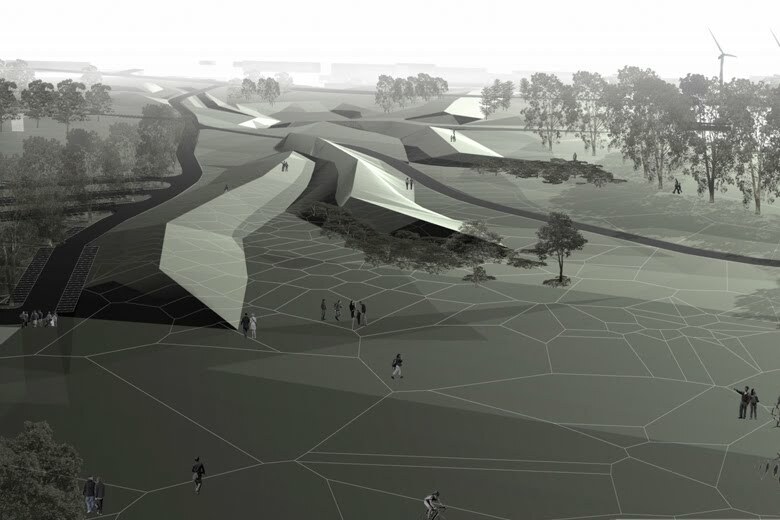 OUTR last month participated in the ideas competition for the Canberra University, Australia. As a part of the submissions, OUTR submitted entries for the Concourse Design, Landscape Character (Urban Design) and University Green (Park) under the title "In The Loop: Constructing the reflex weave". You can find the results of the competition here at the University of Canberra website. The in the loop proposes that the university green is a textured weave which emerges from the inherent characteristics of the existing campus itself. In the loop, a weave which extends the learning environment from the limitations of the built envelope to considering the learning environment as the many permutations of virtual, real, interior and exterior. It is adaptable to the ever changing conditions of the campus landscape where the learner is ever present in the many facets of how the university green is designed and inhabited. It is a responsive fabric with the inherent ability to evolve over time to environmental forces of change such as climate change, the ever changing policies and structure which universities are required to respond to and innovation in teaching and learning. 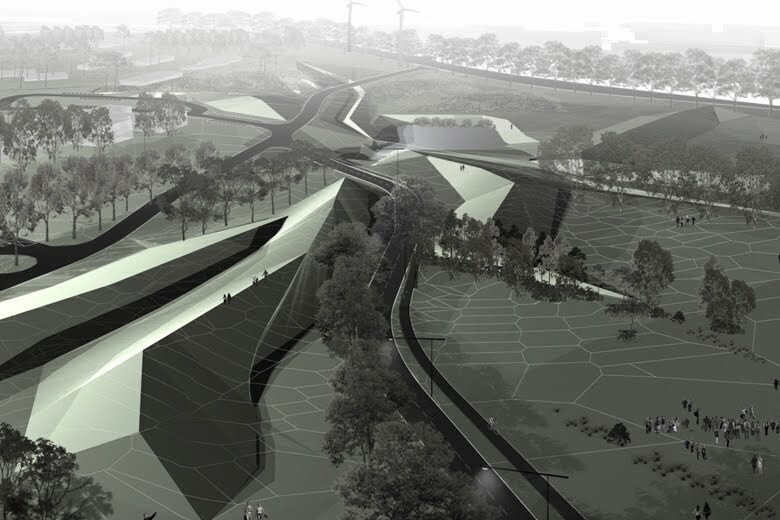 This didactic landscape is rich in environmental diversity but expansive in its reach and structure. 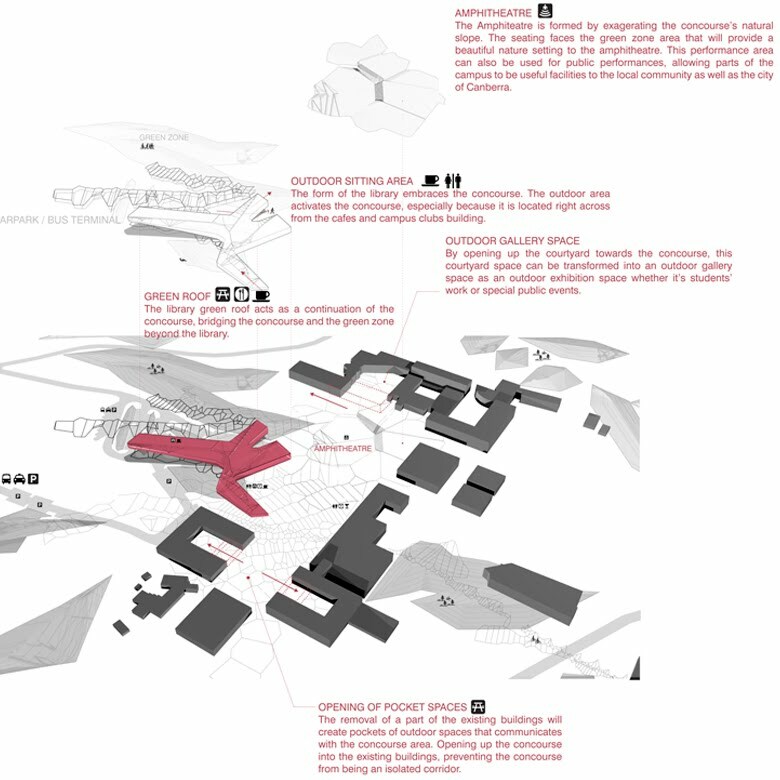 Knots + Loops: educational hubs+ parking + circulation. Linkages between adjacent precincts, education and activity hubs and future expansion sites. The expansive the grid structure provides connections to the concourse area and other precincts of the university campus. 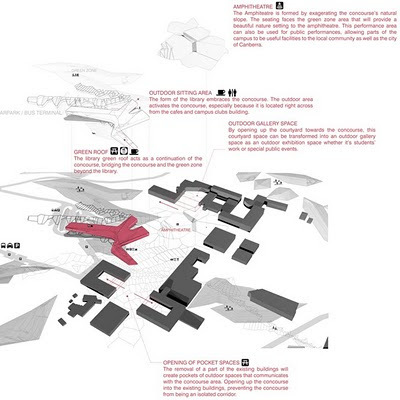 It is an underpinning organizational structure to the campus masterplan. 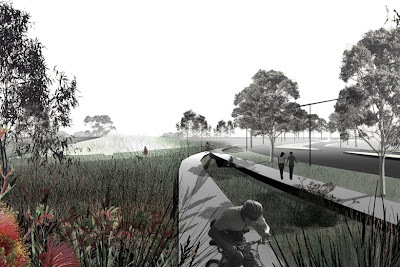 Establishes links in terms of landscape, character, views with the concourse, university village and Lawson connection precinct. Provides serviced open space areas for large gatherings and seasonal events. 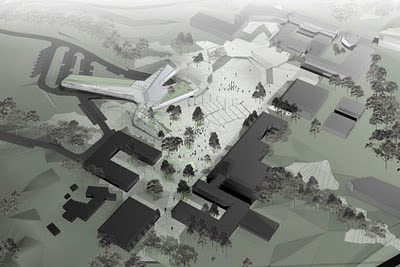 Complements the more formal urban space of the concourse; operating at a range of scales and intensities of use for both the educational and environmental characteristics of this unique campus. 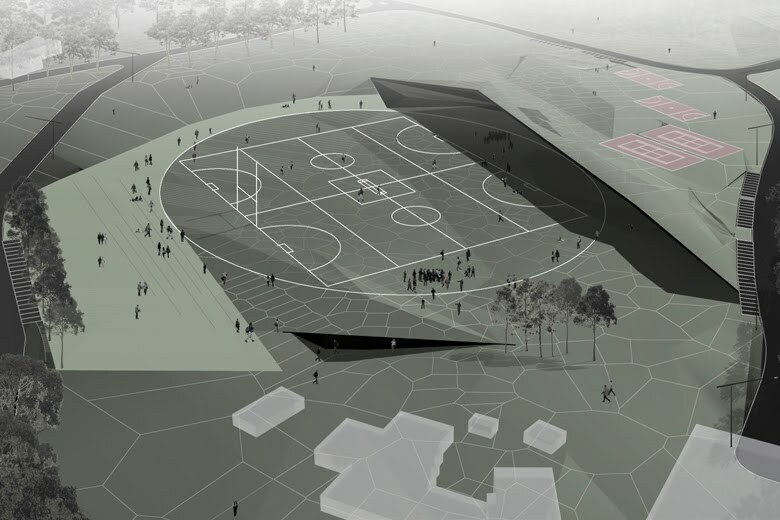 The in the loop proposes that the university green is a rich textured weave which emerges from the inherent characteristics of the existing campus itself. In the loop is a weave which extends the learning environment from the limited environment of the building to considering the learning environment which is adaptable to the ever changing conditions of the campus landscape. A responsive fabric with inherent is environmental forces of change, the ever changing policies and structure universities are required to respond to and, rich in diversity its expansive structure. The didactic landscape. Knots, Loops, Threading, Interlacing, Warp& waft, Weave.